FRIENDS UNITED WELFARE ORGANISATION is located in JAJPUR Orissa . FRIENDS UNITED WELFARE ORGANISATION is registered as a Society at JAJPUR of state Orissa with Ngo unique registration ID 'OR/2009/0007063' . 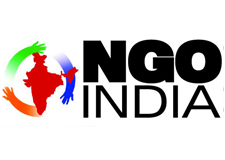 The NGO registration is done by Registrar of Societies with registration number JPR1302/106 on the date of 08-01-2001, Its parent ORganaisation is PaulFoundation. The Chairman of FRIENDS UNITED WELFARE ORGANISATION is KHIRATI SAHOO and Chief functionary officer is SECRETARY. SHG promotion,condensed course of Edn,Arts & culture,SHC promotion,Disaster risk mangement,Health & sanitation,Agriculteral development,Women & child Development programmes.